Mr. John Hosking grew into the world of philanthropy, as many private foundation members do, through the mentoring and modeling of family members. In this case, it was his aunt, Mrs. Elizabeth Binda who provided support and mentoring as he began engaging in philanthropic activities. Bringing his life experience to the position of CEO of the Binda Foundation, he offers insight in successfully transitioning the values of foundation founders to the next generation of leaders. Mr. Hosking describes the engagement of the Bindas, especially Elizabeth, in the community culture and development of Michigan's nonprofit and philanthropic infrastructure organizations. Mr. John Hosking talks about his career in philanthropy. Mr. John Hosking talks about the role the Council of Michigan Foundations (CMF) has played in assisting private foundations. Mr. John Hosking talks about the importance of listening and passion in philanthropic leadership. Mr. John Hosking attended Suomi College in Hancock, Michigan prior to attending Michigan Technological University in Houghton, Michigan. He eventually left university to pursue other options, and served as a member of the United States Navy Construction Battalion (referred to as the “Seabees”) during the Vietnam War. Mr. Hosking is quick to point out that prior to his joining the board of trustees for the Guido A. & Elizabeth H. Binda Foundation, he didn’t have much of a background in formal philanthropy, which is not uncommon in the field. 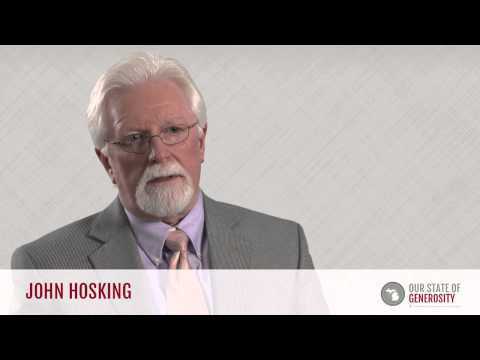 Mr. Hosking joined the board of the Binda Foundation in 1999 and remains a trustee today. He was elected to the position of president in 2009 following his aunt Elizabeth Binda’s retirement. He assumed the position of chair of the board after Mrs. Binda passed away later that same year. The Binda Foundation was established in 1977 by Guido and Elizabeth Binda. Mr. Binda had enjoyed a successful career as an architect specializing in designing schools, and at each school he designed, he created a college scholarship fund. Mrs. Binda was a former educator and a lover of the arts. These inclinations led to the creation of the foundation and its central focuses of education, arts and culture programs, and environmental education, with education being paramount. 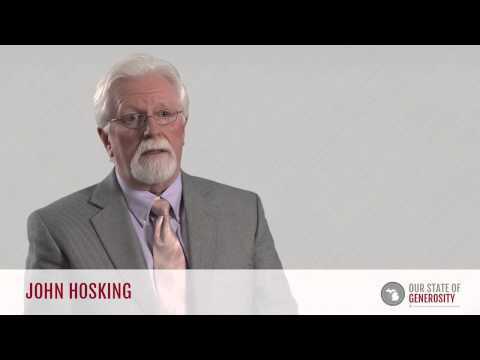 As president of the organization, Mr. Hosking is proud of its continued dedication to the values and visions of its founders even after their passing. 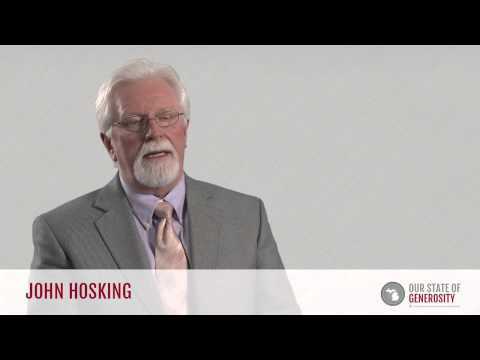 As president of the Binda Foundation, Mr. Hosking has worked to diversify the board in order to widen its perspective. The executive director of the Binda Foundation, Ms. Nancy Taber, describes Mr. Hosking as following the example of Mr. and Mrs. Binda through his thoughtfulness, humility, and his ability to view the big picture, think creatively, and his openness to new ideas in addressing an issue. He has also pushed to reaffirm the foundation’s focus on education by concentrating giving on early childhood development. The Binda Foundation has supported and worked with the Great Start Collaborative in Calhoun County, which offers a variety of services and support functions for families as a way to encourage early childhood education. This program offers access to a vast number of books aimed at young children, to community events, to family coaches, and facilitates connections with childhood resources in the community. Mr. Hosking is also a strong supporter of the Learning to Give initiative of the Council of Michigan Foundations, and serves on his church board. Mr. Hosking was interviewed regarding his insights and experiences in working with Michigan’s philanthropic community and the Our State of Generosity (OSoG) partners. The following are selected quotations from his interview specifically related to the five organizing themes of the OSoG project.